POSE 7898-7655 rolls through Ballardvale (Andover, MA) station on the heel of Amtrak 680. Photographed by Wayne Johnson, August 7, 2018. 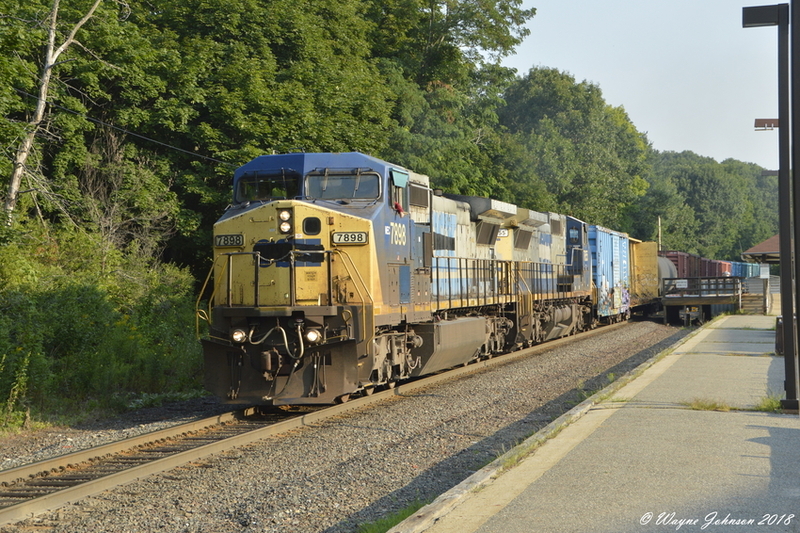 Im Moving to Wilmington MA soon do you know when freights pass through there?